Honey Dill Roasted Carrots: Tender, oven roasted carrots with a drizzle of honey and olive oil, fresh chopped dill and sea salt. Easy, gourmet side everyone in the family will love. Nice with Easter dinner or any special meal. 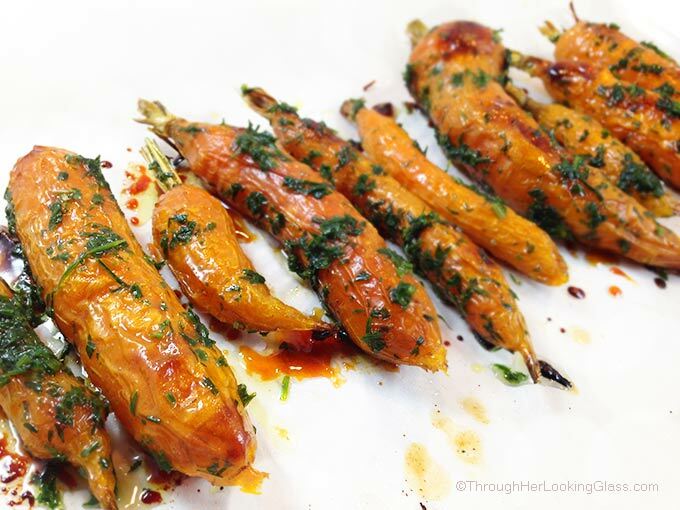 This Honey Roasted Dill Carrots post was a work in progress for several months. Seriously. And I got such a kick out of each step. My Charlie (9) actually grew the carrots for this recipe. That in itself was a funny story. He bided his time harvesting them because he kept checking and they were on the small side. And these little Dr. Seussish guys… I call them Thing 1 and Thing 2. Those feelings all vanished into thin air as the sweet aroma filled the kitchen. I pulled them from the oven. And my oh my. What a treat these carrots are. The roasting brings out the sweetness, they taste almost candied, reminding me of a sweet potato. 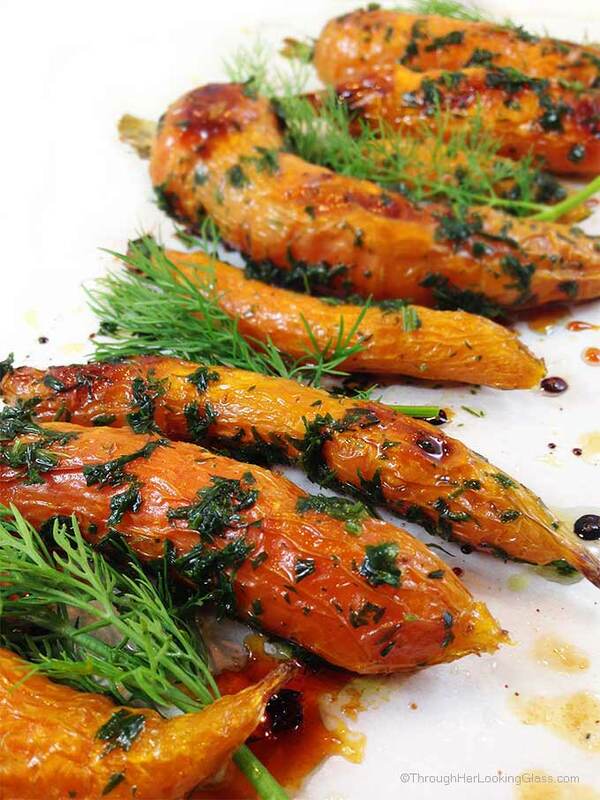 I’d never roasted carrots before and these Honey Roasted Dill Carrots were such a hit. I know we’ll be roasting more soon! 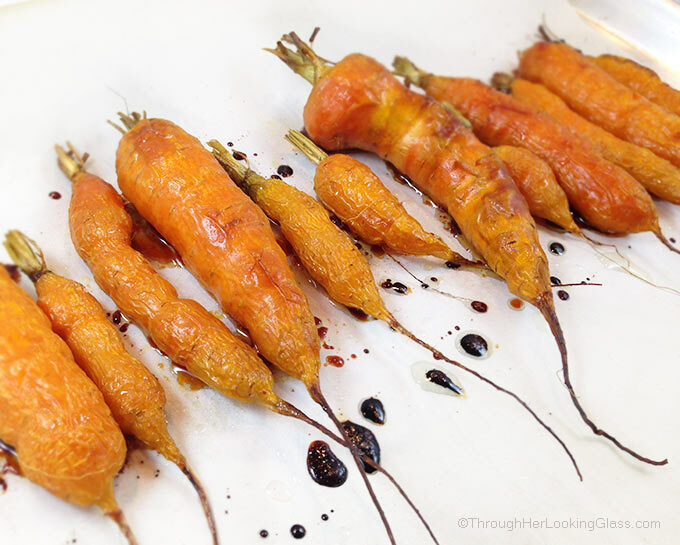 Oven roasting is definitely our new favorite way to enjoy carrots and root veggies. Easy side. Roasting brings out the amazing sweet flavor of carrots! Snip off carrot greens and reserve. Lay on a baking sheet lined with parchment paper. 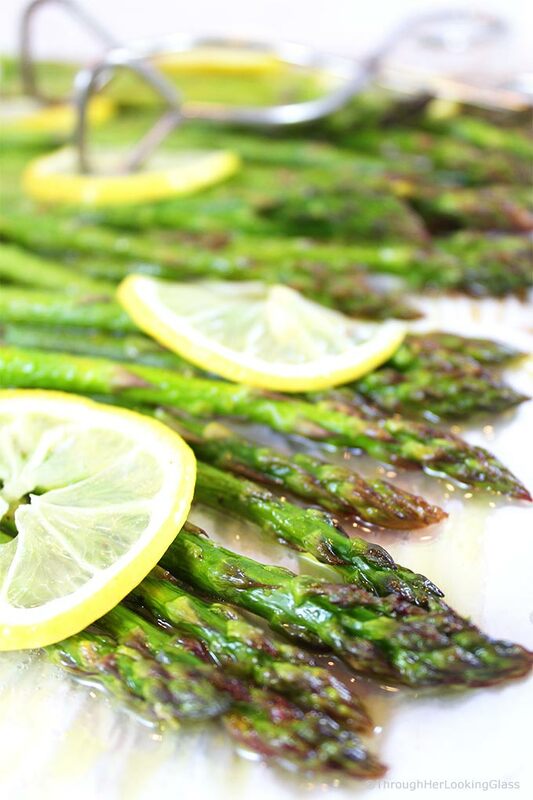 Brush with olive oil on all sides. Sprinkle liberally with sea salt. Roast in the oven for 35-40 minutes at 375 degrees until golden. Snip fresh dill and carrot greens and gently toss together with roasted carrots. Allie, I truly enjoyed this post and what a memorable one, too with Charlie having grown these carrots personally! I have never roasted carrots in the oven as well - mostly on the stove top but I'd love to try it as I can imagine how delicious this is with the honey and dill! Mmmmm-sounds marvelous and they look great! 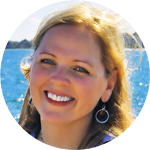 What fun that Charlie grew 'em and insisted they appear on the blog! 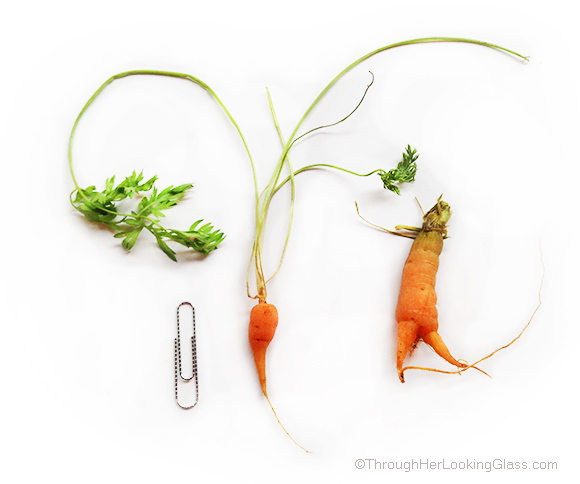 Haha - YES - Home grown veggies always seem to have personality - lots of it too - as seen in the likes of Thing 1 and thing 2! Charlie did a fantastic job growing these - I cannot wait to see what he will grow next year! Allie, I've never used carrot greens before so thanks so much for the inspiration! Happy Almost-Friday, my friend! Way to go Charlie! Gorgeous carrots. 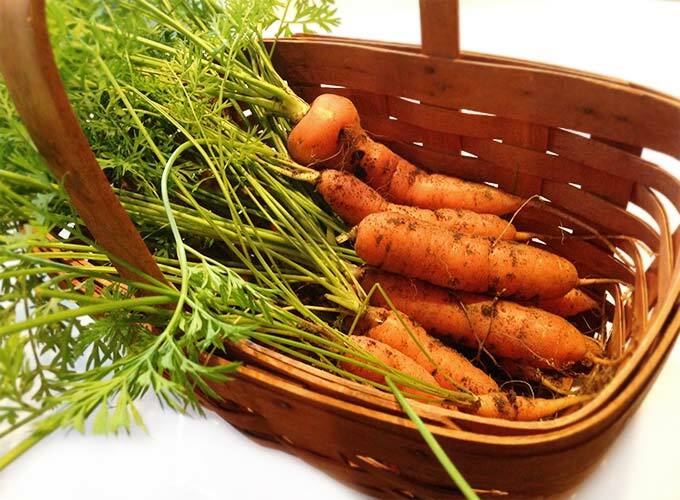 Did you know that carrots get sweeter the longer they stay in the ground during cooler temps? Roasted carrots is one of our staple veggies for dinners. I can't wait to try your version. Harvest time for all those carrots! I still love that story! These look so yummy...and I love dill. Thanks for sharing, Allie! I also loved this post! It made me smile. I do remember how these carrots got their start. Lol! Those carrots are definitely Charlie carrots! Think what he could do with green peppers or eggplant!?! I make sweet carrots but not roasted and I have never used the tops before. They look delicious! I'm going to try this recipe. Thanks Allie..... and Charlie!!! They really look like quite the yummy treat! 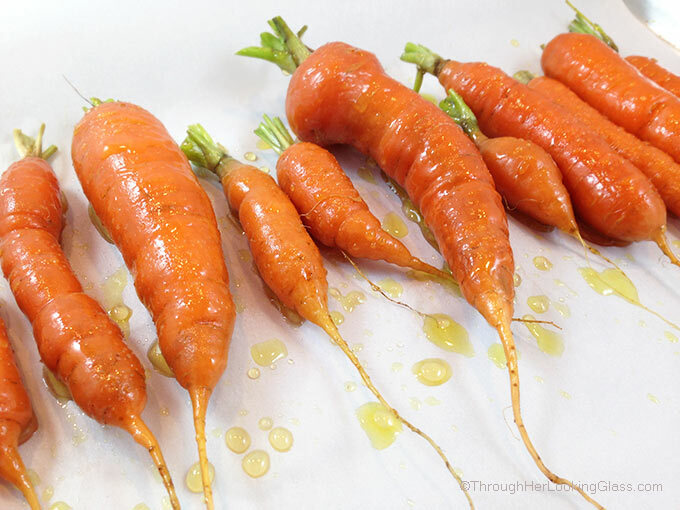 We're still getting carrots from our CSA so I think I am going to have to try these. And I love the carrot shapes...they are all so different! Some of them can be really funny! love roasting veggies this time of year! So great that your son grew the carrots! Allie, I want to reach through my screen and have a bite- The glaze looks amazing and what a delicious side or well.....dish to eat on its own! Awww, Charlie is so adorable. He is into gardening? Wow! Love these little Dr. Seussish guys, and also love what you call them 'Thing 1 and Thing 2'. And that glaze looks awesome and what an amazing dish. These carrots are so darn cute!!! I love them. I bet they taste amazing - love roasted vegetables! Oh wow, these sound absolutely fantastic! Nicely done! I need to cook with more dill and this is perfect. How adorable! Charlie will never forget growing his first carrots! You certainly made them taste delicious! Your carrots really do look like "little friends", but awfully delicious ones. The dill really does bring out their flavor. I'm a serious carrot addict and these sound so delicious! I love the look of these carrots too - we need to be eating more ugly vegetables :) Straight from the garden is always the best - especially with cute little helpers! I'm so jealous of Charlie's green thumb! Someday I'll grow something other than weeds. Someday. These look delicious, Allie! I love roasted veggies sooo much so I'm going to have to try your recipe! Roasted carrots are a favorite around here! Love the addition of dill! Thanks, Allie--definitely on the menu for Easter Sunday dinner! 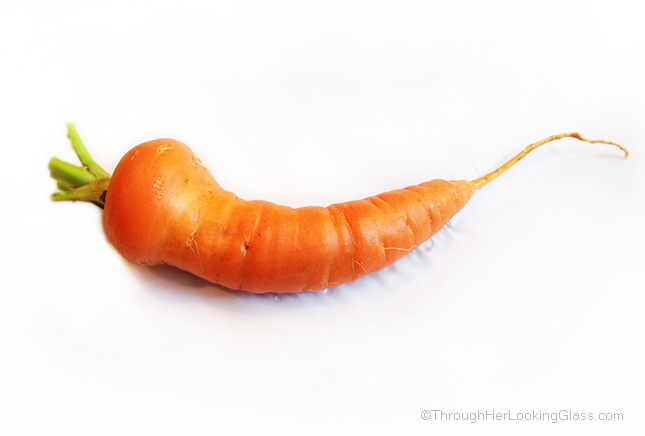 Just wish I could find carrots with so much personality!!! Looks complicated, but so simple to make. The carrots are so beautiful.. probably need to buy them at a farmers market huh? Wonderful blog you got here. There's nothing better than carrots fresh from the garden----well, maybe roasted carrots fresh from the garden! This looks like the perfect Easter side! Having carrots that were grown by Charlie, make them all the more special and they look delicious. I love roasted carrots with a passion and this version sounds delicious. And I like homegrown carrots so much, all these differents sizes and shapes and they taste like a 100 times better than the bought ones. These carrots look absolutely delicious. Thank you for sharing this recipe! 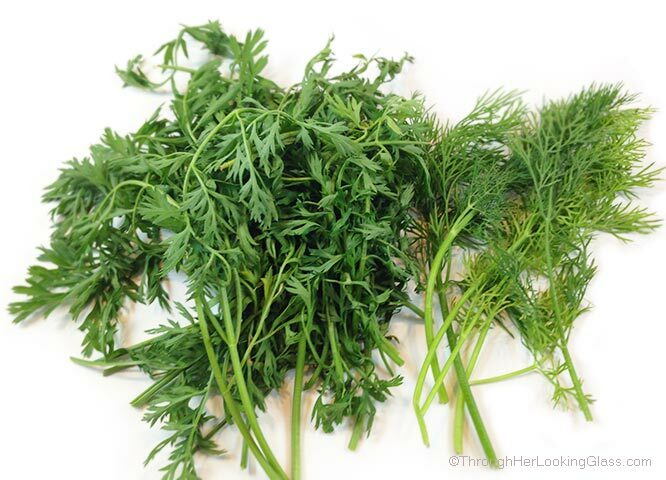 I love recipes that make use of dill in tasty ways. Can't wait to try this one at home!